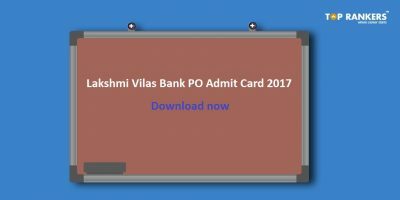 Lakshmi Vilas Bank has invited Online Applications Form for the Probationary Officer Posts. The eligible candidates can apply online till 17 April 2017 . The exam will be conducted in the month of May. Lakshmi Vilas Bank was founded in 1926 by a group of seven progressive businessmen of Karur under the leadership of Shri V.S.N. Ramalinga Chettiar. Their objective was to cater to the financial needs of the people in and around Karur who were occupied in trading businesses, industry and agriculture. Lakshmi Vilas Bank saw considerable expansion of its branch network during the period 1961-65, when the Bank took over nine other banks. From 1974, the bank started expanding the branch network beyond Tamil Nadu to benefit from opportunities in the pan-Indian market. Thus, branches were established in the neighbouring states of Andhra Pradesh, Karnataka and Kerala, important financial centres such as Mumbai, New Delhi and Kolkata as well as in other significant business centres in Maharashtra, Gujarat and Madhya Pradesh.The Bank’s asset size as on March 31, 2015 was to the tune of Rs.24,705 crores, with total income of Rs.2,498.57 crores. Those candidates who come out successful in the online examination shall be called for a Group Discussion and the candidates who clear the Group Discussion will be called for Personal Interview. Let us have a look at the latest exam pattern of the LVB Bank PO exam. The exam will be of 150 marks and the total time duration will be 90 minutes. There will be negative marks of 0.5 for each wrong attempt. 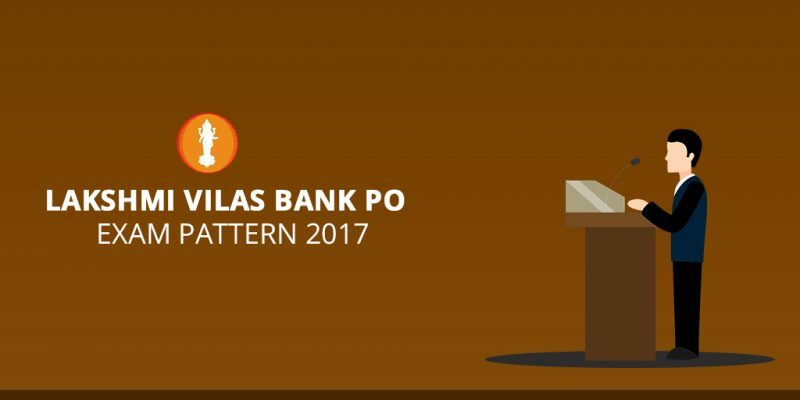 Now that you have got a clear picture of the Lakshmi Vilas Bank PO 2017 Exam Pattern. 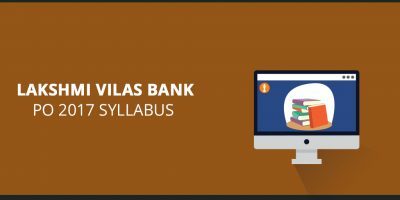 Read our Lakshmi Vilas Bank PO Syllabus 2017 to know the topics and important books for the preparation. 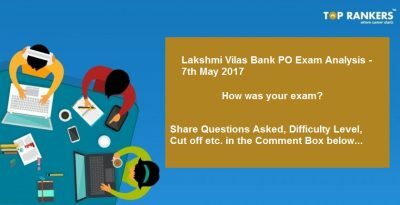 Lakshmi Vilas Bank PO Exam Analysis 7th May 2017 – How was your Exam?